The Global Volcanism Program has no activity reports for Laguna Aramuaca. The Global Volcanism Program has no Weekly Reports available for Laguna Aramuaca. The Global Volcanism Program has no Bulletin Reports available for Laguna Aramuaca. The Global Volcanism Program has no synonyms or subfeatures listed for Laguna Aramuaca. 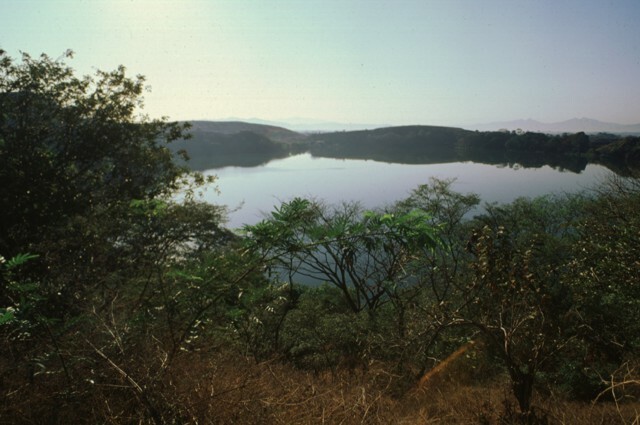 A solitary, 1-km-wide, lake-filled maar, Laguna Aramuaca, occupies a low-lying area about 10 km SE of the city of San Miguel. The Pan-American highway swings around the S side of the maar, immediately N of the Río Grande de San Miguel. It was mapped as Holocene by Weber and Wiesemann (1978), but has not been studied in detail. The low rim of the maar rises above the countryside but is only slightly above sea level; spectacular pyroclastic-surge deposits are exposed by quarries near the rim. Weber H S, Wiesemann G, 1978. Mapa Geologico de la Republica de El Salvador/America Central. Bundesanstalt fur Geowissenschaften und Rohstoffe, Hannover, Germany, 1:100,000 scale geologic map in 6 sheets. The Global Volcanism Program is not aware of any Holocene eruptions from Laguna Aramuaca. If this volcano has had large eruptions (VEI >= 4) prior to 10,000 years ago, information might be found on the Laguna Aramuaca page in the LaMEVE (Large Magnitude Explosive Volcanic Eruptions) database, a part of the Volcano Global Risk Identification and Analysis Project (VOGRIPA). There is no Deformation History data available for Laguna Aramuaca. There is no Emissions History data available for Laguna Aramuaca. Bedded pyroclastic-surge deposits are exposed in a quarry at Laguna de Aramuaca, SE of the city of San Miguel. Conical San Miguel volcano rises 18 km to the west in the right background. Note the person in the center for scale. A quarry at Laguna de Aramuaca exposes a roughly 10-m-high section of thinly bedded pyroclastic-surge layers. Despite its immediate proximity to the Pan-American highway, this spectacular maar remains to be studied in detail. A solitary, 600-m-wide lake, Laguna Aramuaca, occupies a low-lying area about 10 km SE of the city of San Miguel. The low northern wall of the maar is seen here from the southern rim of the 1-km-wide crater. 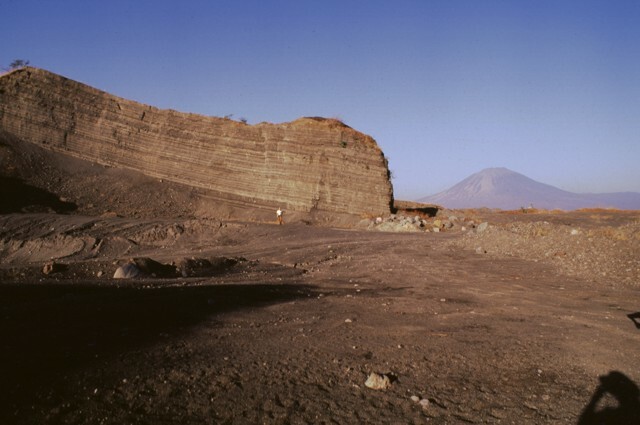 The Pan-American highway swings around the south side of the maar, which was erupted through sediments immediately north of the Río Grande de San Miguel. 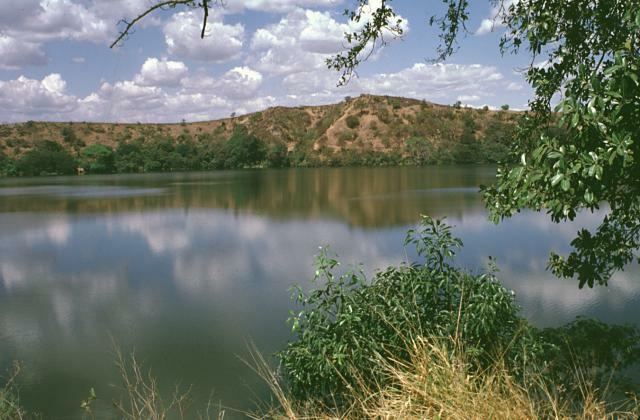 The rim of the maar rises about 50-100 m above the countryside and reaches only 181 m above sea level. The low SW rim of Aramuaca maar is reflected in the waters of 600-m-wide Laguna de Aramuaca. 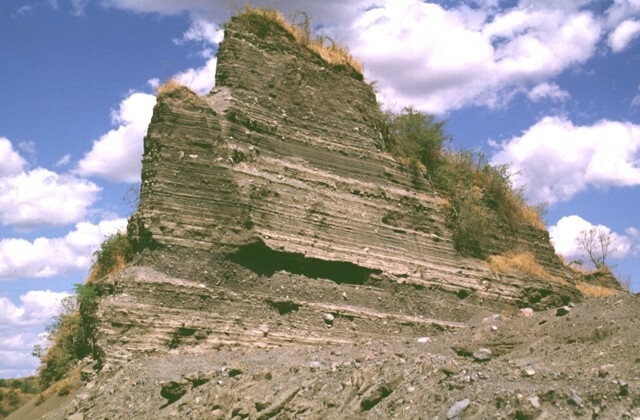 The maar was erupted through sediments in a plain north of the Río Grande de San Miguel. There are no samples for Laguna Aramuaca in the Smithsonian's NMNH Department of Mineral Sciences Rock and Ore collection. Large Eruptions of Laguna Aramuaca Information about large Quaternary eruptions (VEI >= 4) is cataloged in the Large Magnitude Explosive Volcanic Eruptions (LaMEVE) database of the Volcano Global Risk Identification and Analysis Project (VOGRIPA).